Final Summer Speaker - Chris Ragland - Don't Miss Out! 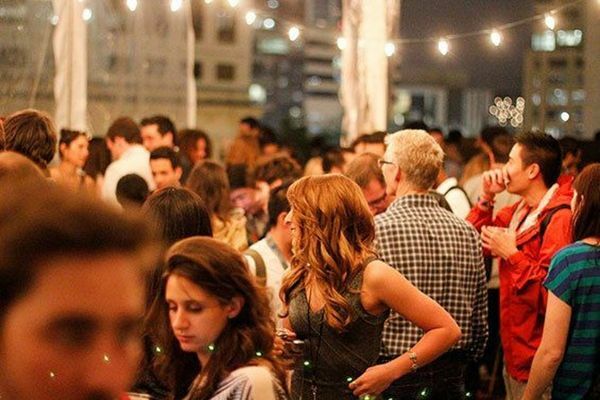 *This Event is 100% Free – Food & Drinks (Beer / Cocktails) Included! The final Summer Speaker has arrived! Our final speaker is Chris Ragland, If you want to become an entrepreneur, escape your day job or just start your own business... You do not want to miss this one! Find out why some people are successful entrepreneurs, and why others are not. Chris Ragland helps businesses succeed at all levels, from BMW, Adobe, & American Express, to locally owned small businesses. Come learn how to make your dreams a reality, navigate the start-up marketplace and build successful teams with Team Austin. Chris currently holds the title of Chief Operating Officer at Noble Capital Group LLC, in addition to consulting with Synnecta GmbH, a German-based organizational development, and management consultancy. Over the past fifteen years, Chris has served as a principal in over a dozen companies providing leadership and support around the creation of loyal teams, fanatic culture, and personal growth. Get your questions ready because Chris has experience in A LOT of industries! - Technology, Real Estate, Finance, Telecom, Fim/Music, Insurance, Bar/Restaurant, Manufacturing, and Retail. Come Join us for a night to learn from Chris, eat, drink, and network with great people who live to Pay It Forward!